"Austrian" or "Australian," What's the Difference? 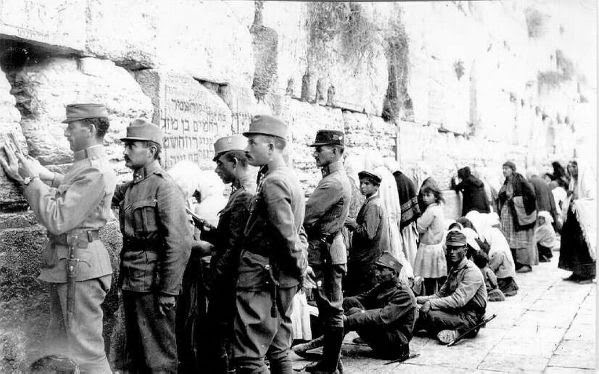 Library/Central Zionist Archives) The soldiers were actually from Austria. World War I was not only waged in Europe, but across the Middle East as well. The armies of Turkey, Germany and Austria fought the British Empire's armies from Britain, Australia, New Zealand and India. 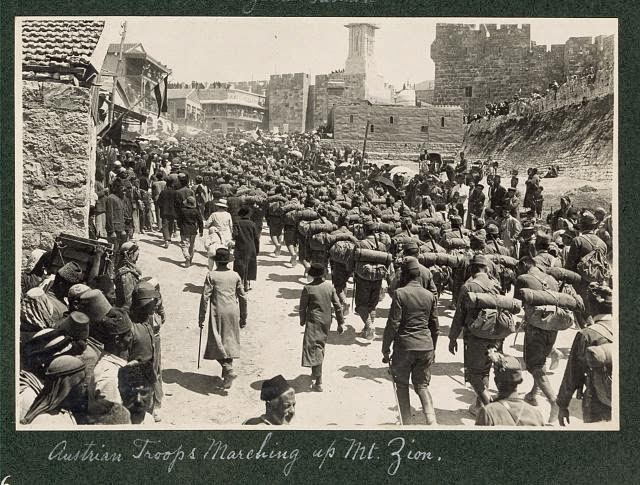 The Austrian soldiers in the picture above marched into Jerusalem in 1916. We are in the process of updating the caption to read "Austrian soldiers" instead of "Australian soldiers". The caption should be updated within one or two days. Thank you very much for alerting us to this error. 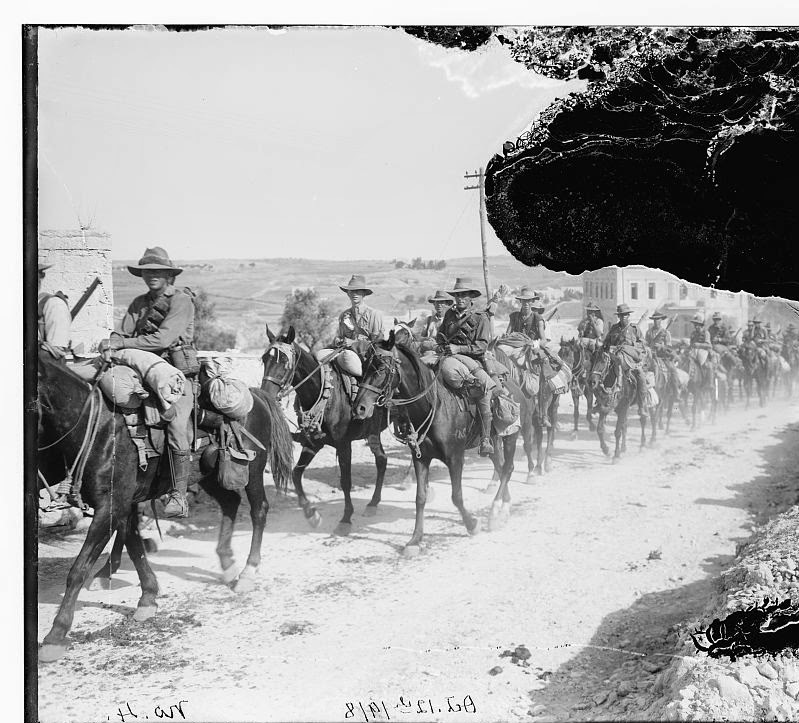 The Australians arrived in Palestine with General Allenby's troops in 1917, and were famous for their daring cavalry charge that captured Be'er Sheva before German and Turkish troops could blow up the wells of the oasis.